“The Americans,” a critically-acclaimed drama, exposes viewers to the competing bureaucracies of the Cold War during the 1980s in and around Washington, D.C. through the complex lives of front line agents. The series revolves around Philip and Elizabeth Jennings, pseudonymous KGB spies living undercover as a suburban American family. Their unaware neighbor, Agent Stan Beeman, works for the FBI trying to find covert Soviet assets. The plot lines also take us into the offices of the FBI and the Soviet Union’s Embassy in Washington. The daily activities of the field agents and their contentions with supervisors in the chain of command add an intriguing reflection on public administration. Scholars and practitioners of public administration have produced many studies of the bureaucratic challenges in the implementation of Cold War policies on both sides of the Iron Curtain. 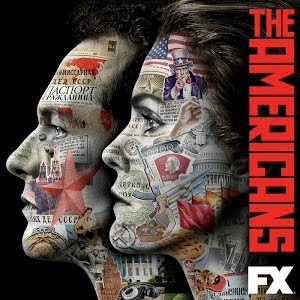 “The Americans” bring these ideas to the small screen in a clear and captivating fictional retelling of this history. On the show, both the governments of the United States and the Soviet Union are seeking weaknesses in each other’s national security organizations. In the recently-completed third season, the Soviet war in Afghanistan is central to the directives of both countries as Phil and Elizabeth try to secure valuable intelligence, with Stan and his colleagues in pursuit of their KGB unit, known as Directorate S. At great personal risk, the Jennings carry out a variety of missions to support the Centre in Moscow, often upset with their instructions from above. Agent Beeman, whose family life has fallen apart due to the demands of his job, also often is displeased with the guidance and requirements of his workplace. Despite all of their consternation, all three of these characters excel in their careers and are immensely important to their respective organizations. The Jennings receive their directives through coded communication and meetings with intermediary handlers. They were trained years earlier in the Soviet Union to work for the Communist Party while living as typical Americans. They have very little say in their own affairs and few opportunities to engage the bureaucracy that oversees nearly every aspect of their lives. The difference between the upper-level bureaucrats and agents is starkest in the family relationships of the main characters. In his counter-intelligence role in Washington, Stan is not undercover but he had previously successfully infiltrated a group of white supremacists. In addition, he has a clandestine affair with a Soviet double agent and FBI informant Nina Sergeevna. The stresses of his job and related personal transgressions lead to the dissolution of his marriage and a difficult relationship with his son. The situation is more extreme for the Jennings. Philip and Elizabeth’s marriage is KGB arranged and they are raising two fully Americanized children, who are unaware of their secret lives, under the watchful eye of the Soviet state. Although there is clearly love in the Jennings household their family is a product of government decisions. The FBI and KGB office workers may go home at the end of the day, but for the field agents this is their lives; they are always on call and always in danger. Despite the sacrifices and successes of the field agents, the bureaucracies struggle to utilize their actions and intelligence. The KGB, for example, lacks the capacity to analyze the vast quantities of data from a recording device Philip manages to have installed in the FBI’s counter-intelligence office. On the other side, Stan’s superiors stifle his ideas and innovations to expose and capture spies. While going outside the chain of command has put Stan into ethically precarious situations, he also finds his skills limited by FBI procedures. The simmering drama and exquisite character development are well worth watching. The greater historical backdrop provides context to the personal experiences of these functionaries of the Cold War. With the Soviet Union only a few years from its demise in the show’s timeline, it is interesting to see this fictional but informed view of the last days of the Soviet bureaucracy and America’s counterpoint bureaucratic system. I encourage all public administrators on a rainy summer day to binge watch and reflect on this excellent program: it is well worth the investment of time. Author: Benjamin H. Deitchman, Ph.D. is the visiting assistant professor of public policy in the Saunders College of Business at the Rochester Institute of Technology in Rochester, New York. His email address is [email protected] and he is on Twitter with the handle @Deitchman.